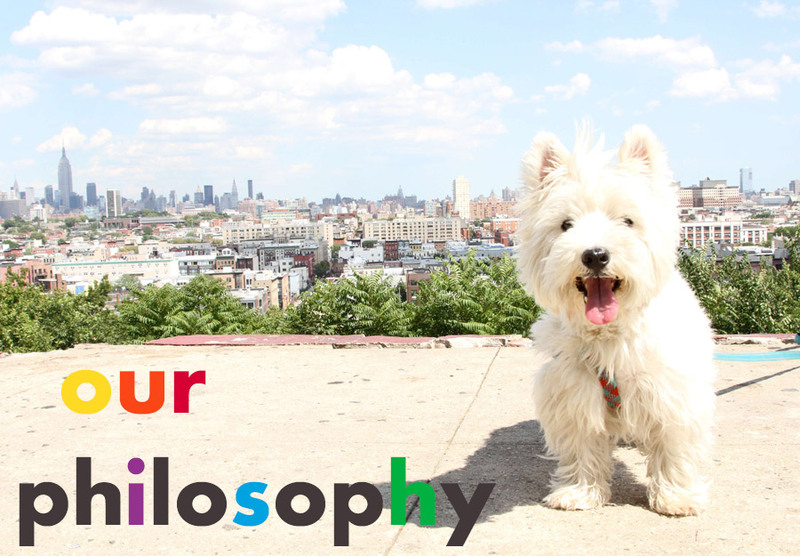 Our philosophy on dog walking and training is rooted in routine and consistency. When dogs know what to expect they, feel more relaxed and ready to engage. That makes for great dog walks! There are many theories on how dogs should be trained, and we encourage our clients to explore whatever works for them. We'll be consistent with whatever training method you choose. You should expect this from your dog walking company. Unfortunately, some companies don't follow this basic best practice. At Colorfuldogs, we don't believe in "pack walking," scaring your dog into submission, or "corrective yanking." Instead, we focus on warmth, encouragment, positive reinforcement, and safe handling practices. Whether you choose solo or buddy walks for your dog, we'll support them in every way, allowing them to florish. Our buddy walks are no more than three well-adjusted dogs walking together. The cost for solo and buddy walks is the same. We don't charge extra for a solo walk.